The leap from academia into the bruising world of business can be traumatic for some who try it. This may be especially true of those attempting to leap from the ethereal world of, say, Psychology, and/or Public Policy. Felicity Bell & Judy Cashmore in their paper of Feb 2013 (Outcomes of Child-Inclusive Mediation) point as much to this shortcoming. For although their study of “child-inclusive mediation” – the sort McIntosh has staked her reputation on – was of a small qualitative sample of 19 parents, they, by contrast to McIntosh, found none of the benefits alluded to by McIntosh. Yet McIntosh in contrast has staked her career and founded a new (and profitable, she hopes) business based on these disputed findings. Indeed, to compare and contrast Bell & Cashmore (together with the other co-authors, Parkinson and Single), they organised two groups; one of 14 parents who had undertaken child-inclusive mediation, and a comparison group of 19 parents who had engaged in mediation without their children being involved. Let’s call them Group A and Group B. Both were asked about the ‘outcomes’ i.e. results, of the mediation process. In line with McIntosh’s equally small sample the groups were also from low to average incomes and levels of educational attainment – and crucially both parent groups had all undertaken mediation through ‘Family Relationship Centres.’ So a more even playing field could not be imagined. This figure compares with the 13 out of 19 (68%) in the comparison group, i.e. in Group B. Only 4 of the 14 parents (28%) in the child-inclusive group thought that their relationship with their ex-partner had improved as a consequence of the mediation (Group A). This compares with 11 of 19 parents (58%) in the comparison group, who thought that their relationship with their ex-partner had improved as a result of the mediation – Group B.
It’s common sense and a truism – but it has to be stated anyway – that the best predictor of resolution overall was not the parents’ mediation group, but their levels of acrimony, conflict, and cooperation. But notwithstanding this obviousness, all parents nonetheless recognised that there were benefits flowing directly from the involvement of children in the process. Simply the ‘experience’ of having children seen by a ‘child consultant’ was generally positive for the couples and so the additional benefits of the mediation process was greater than the narrower achievement of better outcomes in terms of dispute resolution. However, the reciprocal was also evident. Child-inclusive mediation could also lead in some instances to disappointment when raised expectations were not fulfilled. All this is rather important in the shared parenting debate and the struggle for academic survival in which McIntosh, one suspects, now finds herself. One can speculate that because those opposed to ‘shared parenting’ feel they are losing the argument, they are turning to a side-issue, namely a concerted effort to have included the voices of children in the mediation process. This is shameless gerrymandering since the opponents have had over 30 years to get such voices included and have chosen not to. Dubious tactical propaganda such as this in effect sacrifices the wholesome child development for a political edge. What also sets the Bell & Cashmore group apart from the McIntosh & Long’s findings (2006: 38–39), was that at the time of the interview, both groups (A and B) were almost equally split in having their children’s living in shared parenting arrangements. Where shared care / shared parenting, is defined as 35% or more nights with each parent (the children mostly living with their mother for the majority of the time, and not McIntosh’s version of shared care, aka ‘contact’ visits of only 14%). Another critical difference in the Bell & Cashmore study was that only 4 of their 33 parent study had a tertiary education, i.e. a post-secondary education (in Britain this would include attending ‘further education’ (FE), as well as ‘higher education’ (HE). By contrast, McIntosh and Long reported that fully 40% of their parents had tertiary qualifications. The predominant educational qualification for participants in the Bell & Cashmore study was a trade certificate of some kind, and most had income levels that were average or below the national average weekly earnings (i.e. waged, not salaried). There were, however, more professional and managerial workers in the comparison group, i.e. ‘child focused’ than in the child-inclusive group. So, yes, arguably this could have skewed results. Figures collected from parents of the ‘child inclusive’ group showed higher levels of conflict and acrimony with their former partner at the time of the interview so arguably any skew was preexisting and self-cancelling to a degree. Bell & Cashmore point out that Australia might adopt the same regime of ‘child-inclusive mediation’, which in 2012 attracted considerable interest in Britain. But just how inclusive is ’child-inclusive mediation’ ? The Children Act 1989 already contains a mandatory checklist for CAFCASS officers to ascertain, as best they can, the wishes of the children. But how often is this seen in the breach than in the implementation ? If the Australia system calls for “a specialist practitioner trained in this work” then the CAFCASS model is not the path to follow. In the past people might have tolerated CAFCASS or Social Workers excesses in making up ‘evidence’ to fit with their biases or they may have felt impotent to change the course of events – but not now (for examples see https://thecolemanexperience.wordpress.com/2014/02/28/the-new-ss-filthy-britains-child-snatchers-and-the-forced-adoption-scandal/ ). And of course, therein lies the rub. You can’t become one of these new breed of ‘child consultants’ unless you’ve been trained by the business owned and operated by the same Jenn McIntosh. Having created what she hopes will be the new rules she is cashing-in, just like IBM did decades ago with its inventions. Currently her company’s website “Family Transitions” advertises that it is “developing web-based training modules.” Training on-line will cost each participant $275. Her new business venture is one where she assesses those families who are “at risk” and then designs parenting plans for them and their babies (comparable to the diagnosing doctor then becoming the surgeon and thus ‘cleaning up’ at both ends of the market). Her business plan is to run small workshop groups and clinically intensive workshops where the number of places is strictly limited to 8 participants and each attendee paying $1,150. ($1,150 x 8 x twice a week x 40 working weeks = somewhere in the region of $ 736,000 pa). But things don’t stop there, she has even – with a weather eye on Kentucky Fried Chicken’s experience – copyrighted and trademarked her business name. Especially so when all the hoo-ha of the past 2 years has been about the under 4 year olds sleeping over tithe their Dads, and how at that age, one ponders, can they be expected to articulate their true feeling other than at the superficial level. To justify this McIntosh has claimed for many years that her “child centered” mediation approach was superior to regular mediation. But as we can see from the above the Bell & Cashmore evidence disagrees. Rumour has it that someone tried to block the publication of Bell & Cashmore’s article but the only person of late who has blocked anyone in this field, i.e. Bettina Arndt’s editorial, was McIntosh. Surely it can’t be her again ? Hiring lawyers for a second time would surely be mightily expensive ? Its amazing what unnamed sources, sources close to, reliable sources, unimpeachable sources, credible sources, etc, etc, are prepared to divulge to journalists – so that the whole world sometimes feels like one huge grapevine. It therefore comes as no surprise that business might be less than McIntosh expected following the view taken by Australian courts which think her programmes might be “questionable” (rather than, as she would prefer to see it, “the mainstay of best practice family dispute resolution programs in Australia and internationally”). So, if McIntosh has run up huge legal bills attempting to gag journalist Bettina Arndt and limit her published articles she might be now struggling. 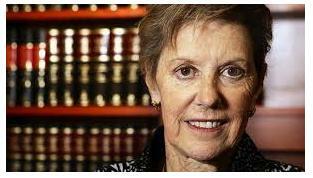 Left: a rather wrinkled chief justice Diana Bryant. The incongruity is that she enjoys the tacit support of chief justice Diana Bryant who introduces her seminars (and bird dog-like support from former family court judge, Richard Chisholm). The more so when Bryant’s call for ‘real equality’ is restricted to giving a sub-set of already privileged women (those with legal qualifications), yet better roles in society. No mention from her of better and truer equality for all Society’s genders passes her lips. Richard Chisholm was appointed as a Judge of the Family Court of Australia in 1993 and he has always flatly opposed shared parenting. 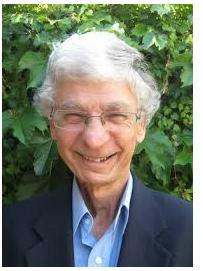 Right: apologies for this peculiarly unrevealing picture of a grinning Richard Chisholm, but it’s the best of a poor selection. Chisholm was whisked away when he retired in 2006, to safe berths prepared for him by McIntosh at her company, Family Transitions, and at academic institutions where she has some ‘juice’ e.g. ANU, where he is now Adjunct Professor  (either that or it was an unearthly coincidence). ensuring that the ongoing mediation/litigation process and the agreements or decisions reached reflect at core the psycho-developmental needs of each child. These findings were the result of McIntosh & Long (2006) reviewing the results of cases from a child-inclusive mediation programme. It just so happens that McIntosh provided the training for the mediators in this pilot study and developed the techniques used. The evaluation which was supposed to compare a group of parents who had experienced “child-inclusive” mediation versus those who had participated in ‘child-focused’ mediation is therefore moot at best and undermined at worst. So the reportedly “significantly greater satisfaction with their children’s living and contact arrangements 1 year after the mediation” is a product of a trial run and operated by one person using their own criterion. A 4 year long follow-up of these parents claims to show continuing advantages flowing from child-inclusive mediation over the longer term (McIntosh et al., 2009). But Bell & Cashmore have shown that when examined by 3rd parties – with no vested interest or personal stake – the family types and gains McIntosh claims do not actually exist. Curiously, to those with first hand experience of the legal and custody system, McIntosh claims the impacts of her ‘child-inclusive’ mediation were reportedly most marked for the fathers involved, i.e. to their benefit. Yet anyone who knows McIntosh’s work immediately knows this to be almost farcical since she is scrupulous in separating fathers from their children at the earliest point and at all costs. It seems to be a widely held assumption that there is little empirical research on ‘child-inclusive’ mediation apart from McIntosh et al.’s evaluation. But if we dissect it and refuse to call it by it’s by now copyrighted term ‘child-inclusive’ mediation what do we have ? We have an approach not unknown to Anna Freud in the 1930s and 40s. Her new system failed as Dorothy Burlington’s children can attest to – had they all survived their own suicides. Evolutionary progress is being ham-strung by the delusional need to ‘systemise’ in order to challenge what is natural and common sense, i.e. that ideally all children need both parents. The concept of wanting to patent nature owes more to barbarism and Vandal values than it does to the Indo-Greek culture of the European tradition of education and the free search for knowledge. That accrual function came under threat when Net Neutrality amendments were mooted (see US Gov’t ‘Stop Online Piracy Act’ (aka SOPA) and ‘Protect Intellectual Property’ (PIPA). A British comparison is RIPA, the ‘Regulation of Investigatory Powers Act’ 2000). Of course, these laws do not simply protect ‘Intellectual Property’ per se; they protect huge incomes, and unreasonably extended copyright years and patents. They are levies we all have to pay to anonymous people. This power to patent, far from allowing inventors to capitalise and profit, has in fact concentrated power so that broadcasting media, tele-communications, oil, defence companies, banks, search engines, and fiat currencies etc, now rest in the hand of the few not the many. Adolf Hitler was never paid a salary by the German state yet he amassed a personal fortune because he copyrighted his image and a fee was paid on every postage stamp issued, on all the party brochures, books, trinkets, and souvenir postcards of which there were millions at the time. He was probably richer by 1939 than Churchill and Roosevelt combined. So how can McIntosh get her hands on large amounts of money and / or on that sort of cash flow to pay off her expensive lawyers – always pre-supposing that is the problem that presents itself to her ? Well, one way might to be look as if one is doing better than one is – nothing attracts confidence more than looking successful. Another way might be to take on two or three more jobs. She’s certainly done that with her status at Deakin University where she is listed as Professor of Attachment Studies (?) with the title of Adjunct Professor. However, though she’s ‘officially’ listed on their website she is not listed in any Dept as a member of the faculty (not even as a part-time or adjunct member). Until matters are cleared up the suspicion has to be that she might not be a bona fide faculty member and that this is a re-run of her “adjunct” status at La Trobe University. What could be better for running a clinical facility offering counselling services than for its Director to hold the credentials of a professorship at not one, but two universities ? But then again would two universities pay for the services of the same person in the same week ? If this speculation is right, it means that probably she has no faculty status, no office, no teaching responsibilities and probably no salary. This might not be important in the scheme of things but in the past men have been heavily criticised by feminists for operating an Old Boys Network rather than promotion based on merit – but now it looks like the shoe might be on the other foot. In many ways – and at many levels – governments and people too, have of late lost their core ethical standards and their moral compass. Society chides the Victorians for their money-grubbing habits and desecration of the countryside, but those same hoarders of wealth showed éclat in their benevolent spending for the public good, e.g. housing, hospitals, libraries, orphanages, public projects at community and national level (the same could be said of the mediaeval Guild system). Theirs was a level of philanthropy and altruistic standards for which today we can only muster only the rare example of former Microsoft CEO, Bill Gates (arguably richer than any of his Victorian peers). His Victorian contemporaries showed not only a high moral tone but élan in the long-lasting legacies we still have today. So where, if at all, does McIntosh’s business venture “Family Transitions” and newer business venture “family doors” and “YIDS” fit in to this new landscape ? Is she trying to (illegally) patent the obvious and natural, or is she trying (as in the “artificial/manipulated DNA” patent ruling), trying to patent her equally “artificial” solution (see Myriad Genetics, the company at the heart of the lawsuit) ? There is, of course, always the “Monsanto” factor. Can you imagine a practitioner innocently straying into what McIntosh regards as her patented property – just like a Monsanto seed blown into a field of a 10 Rupee-a-day Indian share cropping, his harvest and income is claimed by Monsanto as theirs even though he never asked for Monsanto’s seed. Monsanto’s corporate legal muscle is then hurled upon the poor Indian farmer and he either signs up or is forced off the land (that’s the American way, folks !). So next time you are assessing families and who, if anyone might be “at risk”, look over your shoulder just in case McIntosh might be loitering there. http://www.theaustralian.com.au/business/legal-affairs/survey-prompts- /story-e6frg97x-1226786891908 “. .. .Women account for more than 60% of all law graduates.” Dec 20, 2013.